The waters of the Sound – the shared strait that lies between Denmark and Sweden – host a high level of biodiversity, and a unique mosaic of marine communities and habitats, including stone reefs, seagrass beds, horse mussel beds, and kelp forests. This diversity is due to the specific characteristics of the area, the combined influence of the North and Baltic Seas, and a longstanding prohibition on towed fishing gear (including bottom trawls) that has greatly benefitted marine life in the region, including vulnerable species and communities that have disappeared from adjacent waters. The Sound also plays a major role in the lives of the people on its shores. It provides a wide array of valuable ecosystem services to local communities and the economy, including the provisioning of food (through both commercial and recreational fisheries), water filtration, tourism, recreation, and other cultural services. Yet human pressure in the densely populated Sound region also represents a threat to marine life and the services it provides. Ongoing activities like unsustainable fishing, sand dredging, land reclamation, and heavy maritime traffic threaten species and habitats, and some key communities (like horse mussels and Haploops) have declined in recent decades. For Oceana, the Sound has been a priority area for protection since 2011. To help advance this process, we carried out a three-week expedition in 2016, aimed at documenting healthy areas with high biodiversity, and areas that have been disturbed, both historically and recently. We observed diverse marine life across the varied depths and substrates in the region, and recorded nine broad types of habitats and communities and approximately 200 species. Worryingly, we observed only fragmented clusters of horse mussel beds, and found no Haploops communities, which may have disappeared entirely from the Sound. We also found marked evidence of lasting damage to the seabed, particularly in sand dredging areas, some of which showed no signs of recovery or life, even decades after the removal of the seabed. 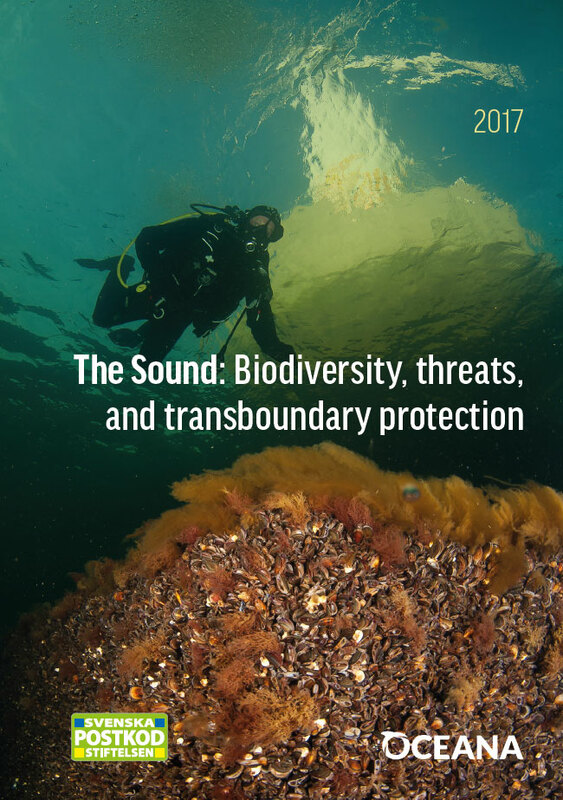 To secure the long-term survival of key species and habitats, it is essential that Denmark and Sweden put in place stronger, transboundary protection measures across the entire Sound, and address the need for better, more coherent management and control. Effective protection of the area could best be achieved by establishing a single transboundary marine protected area, with specific measures to protect priority species and habitats and to limit the damage caused by three main threats: unsustainable fishing, sand dredging, and maritime traffic. This type of protection would also safeguard the natural heritage of this unique area, and would further support the local economies that depend on the waters and resources of the Sound.